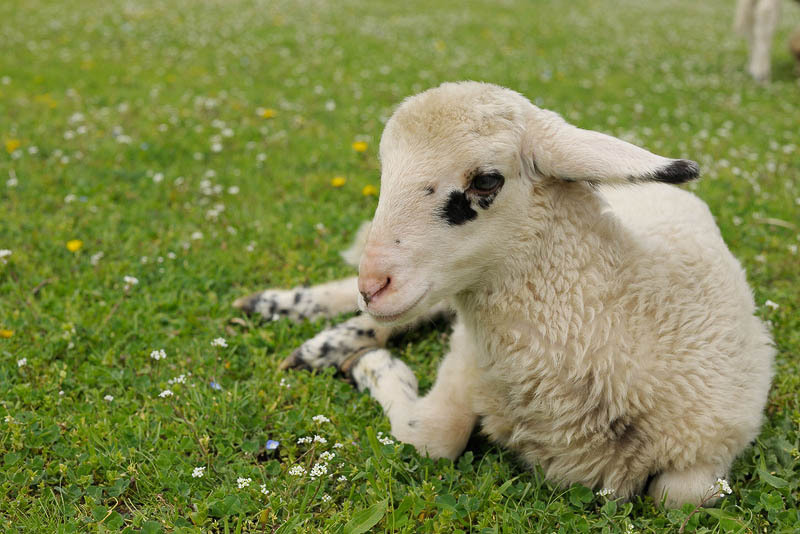 Domestic farm animal - cattle, mutton, mammal. Scenery of young sheep flatways on green field. Farming livestock. Stock-breeding.